Since higher levels of fetal hemoglobin reduce sickling in red blood cells of patients with sickle cell disease, the medication could potentially be useful in reducing the severity of sickle cell complications in patients. It also can be taken with another drug that increases fetal hemoglobin, hydroxyurea, to get even more clinical benefit. Sheehan has been a part of Texas Children’s Cancer Center faculty since 2012, working tirelessly toward advancing sickle cell treatments. During a cancer related conference she attended, it was mentioned that the drug metformin could help with cancer by increasing amounts of proteins that her research showed increased fetal hemoglobin. This led Sheehan to wonder if the drug would increase fetal hemoglobin in cells from patients with sickle cell disease, and sure enough, it did. With funding from Pfizer, in 2016 Sheehan and other researchers were able to launch a clinical trial that is currently assessing the effectiveness of metformin to make fetal hemoglobin in patients with sickle cell cared for here at Texas Children’s Hospital Hematology Center. Pfizer is a world leader in global medical advancement that provides medical research grants and scholarships for new drug development and the latest in cutting edge technology and applications. This not only led to developing the clinical trial, but also led to other acknowledgements and funding such as Sheehan’s Best of ASH recognition, given by the American Society of Hematology at the 2016 annual meeting. Uwaezuoke works closely with Sheehan and the research team, as well as patients, and is responsible for helping to determine who may be good candidates for clinical trials. Fighting sickle cell herself, she knows that at times handling the disease can be very difficult; so she verses how important research is to getting closer to finding a cure for the disease. Following the clinical trial, the next step will be commercialization. Sheehan says that the progress is very exhilarating and that it is amazing for a process of this magnitude to have been executed in just four years. Overall, preliminary research results show fetal hemoglobin induction, the repair of blood vessels, which is so important to help prevent complications of stroke, retinopathy, renal failure, and the other issues that cause a lot of damage or even death to some patients with sickle cell disease. Sheehan says that research is key to improving the use of the tools that we already have. She is now looking for a few more participants to complete the second arm of the clinical trial, patients not on hydroxyurea, and also add adult patients up to the age of 40 years. 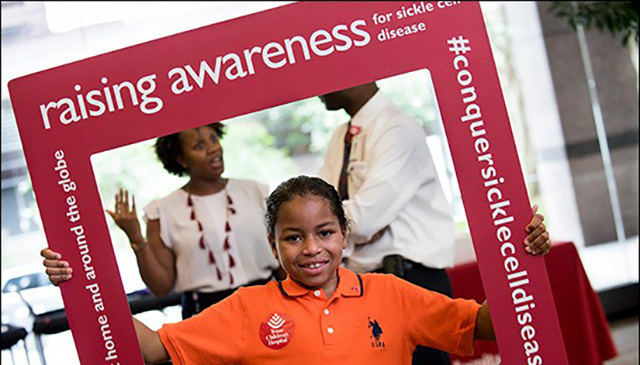 Sheehan has formed a collaboration with University of Texas Health Sciences Center’s Comprehensive Sickle Cell Center and Dr. Juneja and Dr. Idowu to be able to enroll these patients.